ESPN suspends Tony Kornheiser………for ‘On Air Comments’ about Hanna Storm’s Clothing….. Sometimes things just come out of your mouth…..they just slip out……. 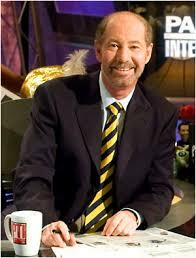 If you can’t say something nice… well, then you might be Tony Kornheiser. The former Washington Post columnist, now moved on to nationwide fame and fortune as a radio and TV sports commentator, has never been known as a sweet talker. But it seems he sniped too far this time: ESPN has suspended him for two weeks for on-air comments trashing his network colleague Hannah Storm‘s “horrifying outfit,” as he called it. But she’s isn’t bad looking…..